Deal #2 in our massive Mid Year Sale has just gone live � and it�s a goodie! 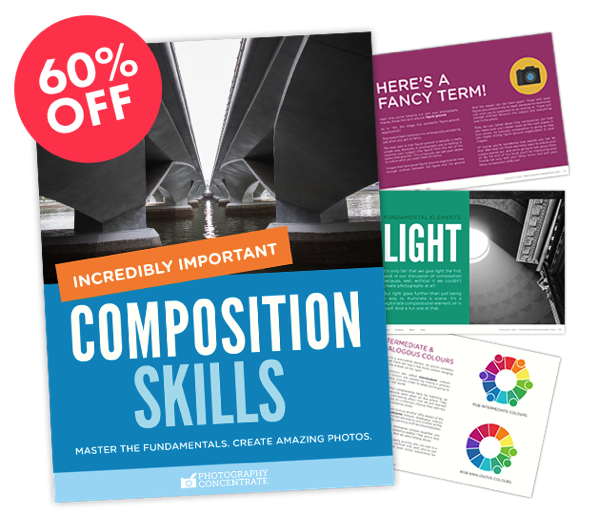 Today only you get 60% off Photography Concentrate�s Incredibly Important Composition Skills. 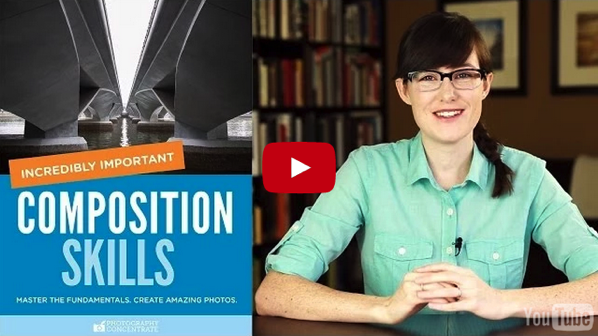 Check out the video on the Photography Concentrate site to meet Lauren, the author of this tutorial, and learn more about how Incredibly Important Composition Skills will totally transform your photography! This deal is an unbelievable amount of value. Especially because building your composition skills is one of the fastest and most lasting ways to transform the quality of your images. You see, people view images in predictable ways. And when you discover these patterns, you can use them to your advantage to create photographs that best communicate your desired message. So are you ready to become a master in composition and gain real skills that you�ll use in every single shot you take? Head to Photography Concentrate to snap up this amazing deal! Your satisfaction with this deal is guaranteed. For a full 60 Days, and if you don�t feel like you have stronger composition skills you�ll get 100% of your money back with no questions asked.